commercial and public sector sites. Welcome to our home page. We’ve tried to make the site as informative as possible given the technical nature of the work we do. There is a list of all boilers we are qualified to service navigate around the website and if you need help please drop us a line via our contact form here. Aquatech Services Limited was established in 1997 and helps its clients by consistently delivering high standards of service for all industrial and commercial heating, ventilating, plumbing and air conditioning requirements for customers in and around North London, Bedfordshire, Hertfordshire, Buckinghamshire, and Cambridgeshire. We provide bespoke design, installation, repair and maintenance services for a diverse range of works from complete boiler house refurbishments, school heating installations, upgrading of air conditioning systems to small works like replacement of pumps and pipework. Aquatech’s Commercial and Industrial Boiler engineers are qualified in all aspects of gas and oil fired boiler repairs and servicing. We provide 24 hour call out for commercial and industrial boilers both gas and oil fired. Aquatech service a wide range and variety of boiler types. 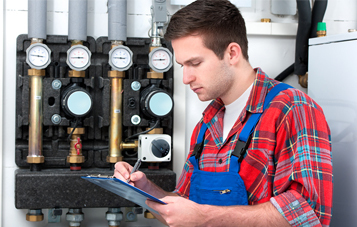 Aquatech specialises in commercial Plumbing & Heating systems we service, maintain and repair Plumbing & Heating systems on a commercial and industrial scale. We provide commercial services throughout London, Bedfordshire and home counties. Aquatech regularly undertakes contracts valued in excess of £1 million with projects in construction, maintenance and major refurbishments. The Company works to ensure that the best traditional values are retained, whilst embracing a modern and systematic approach. Aquatech services has partnered with Towerite Environmental Services to provide water treatment services for Companies and Industrial premises based in the Home Counties. We provide a range of services and are in full compliance with government guidelines and legislation.